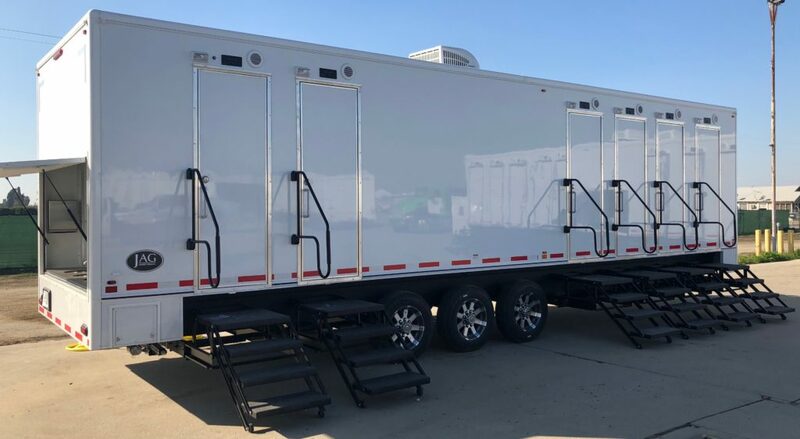 This year we’ve acquired (5) new 8-head Jag Mobile Solutions Aquamaxx shower trailers, a single 6-head Aquamaxx shower, and (2) Jag 2-Stall ADA Shower Restroom Combo Trailers. The Jag Aquamaxx is the premier shower trailer in the industry with spacious shower stalls and dressing areas and high flow shower heads adjustable for comfort and personal preference, which make it the ideal shower trailer to meet any need. 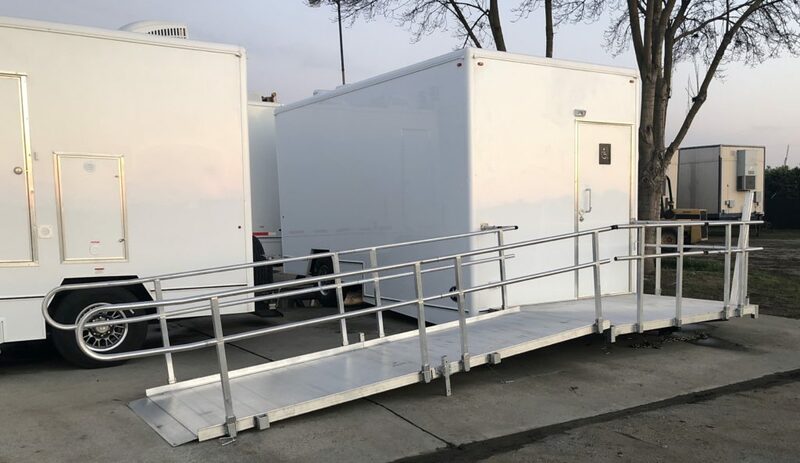 Our new ADA Shower trailers are the only certified California compliant units that are a necessary component of every evacuation shelter opened in the state of California. For more information on these beautiful new units, including pricing, availability, and specifications, please call us at 888-285-5597! For more information regarding the rental of our equipment, please feel free to give us a call at 888-285-5597. We’re more than happy to help you meet your needs.